Evie Willow and Bob's Hammer were slow to begin. Avoided Chaos was very slow to begin (4L). Micky Rads and Akut collided soon after the start. Offaly Black, Micky Rads and Akut collided approaching the first turn checking Micky Rads. Evie Willow and Micky Rads collided on the first turn checking both greyhounds. Offaly Black and Samira's Magic collided entering the home straight. Avoided Chaos checked off Akut in the home straight. Micky Rads was vetted following the event. It was reported that there was no apparent injury found. A sample was taken from Bob's Hammer, winner of the event. A pre-race sample was taken from Limit Man. Final Punch, Transonic Punch and Blazin' Bulla were slow to begin. Ace Victorem and Murrabit Sammy collided soon after the start checking Murrabit Sammy. Final Punch and Gelert collided approaching the first turn checking Gelert. Ace Victorem and Limit Man collided approaching the first turn. Don's Trouble, Gelert and Blazin' Bulla collided on the first turn checking Gelert. Ace Victorem and Limit Man collided approaching the home turn and on the home turn. Transonic Miss and Blazin' Bulla collided entering the home straight and in the home straight. Ace Victorem and Limit Man collided entering the home straight. Don's Trouble raced wide in the home straight. Final Punch was vetted following the event. It was reported that the greyhound sustained a left paw injury. A stand down period of 5 days was imposed. A pre race sample was taken from Miss Malaysia. Spectra Design was slow to begin. Coco Bongo, Miss Malaysia, Broadway Polka, Badelaide Road and Argyle Franklin collided on the first turn, checking Argyle Franklin. Pagan Dancer and Black Zambesi collided approaching the second turn. A pre-race sample was taken from Prince Mark. Cullquin Daario was very slow to begin (3L). Deadly Basilisa and Rustic Rose collided on the first turn checking Deadly Basilisa. Deadly Basilisa and Your Hanger collided on the second turn. Rustic Rose, Miss Heart and Deadly Basilisa collided entering the home straight. Deadly Basilisa and Miss Heart collided approaching the winning post. Humble And Kind and Sweet Potato collided soon after the start. Sweet Potato and Avatar Blaze collided approaching the first turn. Sweet Potato clipped the heels of Humble And Kind approaching the first turn. Elsie Jean, You Bandit and Sweet Potato collided on the first turn checking Sweet Potato. Avatar Blaze galloped on the heels of Sweet Potato entering the home straight. A sample was taken from Humble And Kind, winner of the event. Archer's Will was quick to begin. Batik Print and Paid Too Much collided soon after the start. Magic Trap, Naomi Allen and Frosty Tiara collided soon after the start checking Naomi Allen and Frosty Tiara. Bushman's Billy and Chezza collided approaching the first turn. Paid Too Much, Batik Print and Frosty Tiara collided approaching the first turn checking Frosty Tiara. Batik Print and Paid Too Much collided on the first turn checking Paid Too Much. Naomi Allen and Frosty Tiara collided approaching the home turn. Batik Print clipped the heels of Chezza on the home turn. Paid Too Much and Batik Print collided entering the home straight. Archer's Will and Naomi Allen raced wide in the home straight. A sample was taken from Bushman's Billy, winner of the event. A pre-race sample was taken from Jacobite Joseph. Mr. M. Hendy, trainer of Hillbilly Boy declared a new weight of 33.3kg for the greyhound in accordance with GAR 39(2). Hillbilly Boy last raced at 34.7kg. Jacobite Joseph and Lady Nina were slow to begin. Argyle Roxanne and Agent Violet collided approaching the first turn. Kraken Greta and Agent Violet collided on the first turn. Hillbilly Boy and Jacobite Joseph collided on the first turn checking Hillbilly Boy. Kraken Greta, Jacobite Joseph and Kernel Panic collided approaching the home turn. Kraken Greta and Jacobite Joseph collided on the home turn and entering the home straight checking Kraken Greta. A pre-race sample was taken from Stevie Gee. Nellie Shan was quick to begin. Kid Boomer, Vincero and Kraken Rose collided on the first turn checking Vincero. Detroit Wally and Kraken Smiles collided approaching the second turn. Detroit Wally and Kraken Rose collided approaching the second turn. Deep Creek Girl, Nellie Shan and Kraken Smiles collided on the second turn. Kraken Rose, Detroit Wally and Stevie Gee collided on the second turn. Kraken Rose, Deep Creek Girl, Nellie Shan and Kraken Smiles collided approaching the home turn checking Nellie Shan and Kraken Smiles and causing Stevie Gee to fall. Kraken Rose and Deep Creek Girl collided entering the home straight and approaching the winning post. Stevie Gee was vetted following the event. It was reported that the greyhound sustained a spike wound to the right hind leg. A stand down period of 3 days was imposed. Kid Boomer was vetted following the event. It was reported that the greyhound sustained a spike wound to the right front leg. A stand down period of 7 days was imposed. An Out of Competition Sample was taken from Shazza Weetbix engaged in this event on 13 June 2018 pursuant to GAR 79A. Stewards spoke to Mr R.Camilleri, the trainer of Carson County regarding the length of time the greyhound has had between races. Carson County last raced on 6th February 2018. 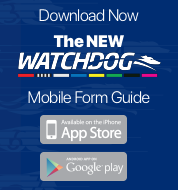 Mr Camilleri stated that the greyhound was resuming racing after a spell. A pre-race sample was taken from Blondy Two. Hammer Red and Just Over were slow to begin. Aqualite and Chill Out Al collided soon after the start checking Chill Out Al. Little Steps and Aqualite collided approaching the first turn checking Little Steps. Flying Joker, Blazin' Jim and Aqualite collided on the first turn checking Aqualite. A pre-race sample was taken from Just Over. Flying Joker, Blazin' Jim and Just Over were quick to begin. Hammer Red and Aqualite collided approaching the first turn. Aqualite, Hammer red, Flying Joker and Blazin' Jim collided on the first turn checking Aqualite and causing Hammer Red to fall. Chill Out Al, Aqualite, Little Steps and Just Over collided approaching the home turn checking Just Over. Aqualite and Flying Joker collided in the home straight. Hammer Red was vetted following the event. 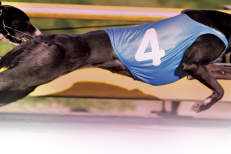 It was reported that the greyhound sustained right shin soreness, an injury to the left back and minor abrasions to the right fore leg and left hind leg. A stand down period of 10 days was imposed. A pre race sample was taken from Krisbar Wee Wow. Glendower was quick to begin. Winlock Blue Boy and Neb's Shark were slow to begin. White Shawl, Blackwater Girl and Fabredust collided soon after the start. Winlock Blue Boy and Blackwater Girl collided approaching the first turn checking Winlock Blue Boy. Glendower and Kribar Wee Wow collided approaching the home turn checking Glendower. Glendower and Kribar Wee Wow raced wide in the home straight. Stewards spoke to Mr S.Kando, the trainer of Lisk regarding the length of time the greyhound has had between races. Lisk last raced on 31 January, 2018. Mr Kando stated that the greyhound was resuming racing after a spell. Mr. Kando also declared a new weight of 25.2kg for the greyhound in accordance with GAR 39(2). Lisk last raced at 26.5kg. Galway Shawl was slow to begin. Cheers To That was very slow to begin (3L). Onyx Victorem and Onya Prankstar collided approaching the first turn. Cheers To That and Galway Shawl collided approaching the first turn. Onya Prankstar and April Jay collided approaching the home turn.